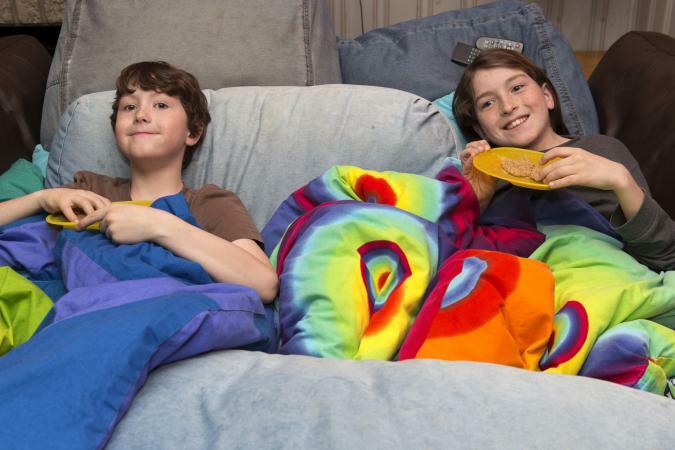 Weighted blankets provide relief and comfort to children and adults with certain psychiatric or mood disorders, autism, anxiety, and sleep disorders. However, the benefits of using a blanket like this can vary from one individual to another. It is simply a blanket that contains inner pockets or an inner liner filled with plastic polypropylene pellets or beads, similar to the filling found in stuffed toys like Beanie Babies. In fact, a Beanie Baby was credited as the inspiration behind one manufacturer's line, according to Forbes. The blankets come in different sizes such as twin, full, and queen, or small, medium, large, and extra-large. Weights typically range from about 3 to 25 pounds. Most can be customized with your choice of fabric on each side. OT (Occupational Therapy) Innovations indicates the therapeutic use of weight is a common treatment option for both children and adults suffering from conditions such as autism, Sensory Processing Disorder (SPD), depression, anxiety and other types of mood disorders. In particular, those who suffer from SPD have a difficult time processing and reacting to the information coming in through the body's senses. Weight and deep pressure applied to muscles and joints provides a calming sensation, helping the central nervous system in processing and integrating tactile information and body awareness. Their use is often compared to swaddling an infant. Consumer Affairs also indicates deep touch therapy can cause the brain to release more of the mood lifting neurotransmitter, serotonin. This makes the blankets beneficial to a wide scope of people suffering from dementia, restless legs syndrome, fibromyalgia and even menopause. Consumer Affairs warns not to use this kind of blanket if you suffer from a respiratory or circulatory condition or if you have trouble regulating your body temperature. You should also avoid using one if you are recuperating from surgery. The blanket's use is usually prescribed by an occupational therapist. While sites that sell these blankets offer guidelines about how much weight is recommended for different body types, you should still get the advice of a doctor or therapist before purchasing one to treat a medical condition. They cost considerably more than other types of blankets. The blankets are not mass produced like ordinary blankets. Most are made to order and many of the companies who sell them are family-owned and operated. The effort and time that goes into making each blanket accounts for the higher cost. All blankets are machine washable and designed to withstand repeated washings. Mosaic Weighted Blankets are made in Austin, Texas, where company founder, Laura LeMond, has lived her entire life. LeMond was a fraternal twin born eight weeks premature and has suffered with sensory integration issues since birth. After developing a pillow case and eventually a blanket that helped her relax and fall asleep, LeMond created her blanket company to help others affected by similar disorders. Choose from dozens of colors and patterns in cotton fabric or the more luxurious minky fabric. You can also purchase do-it-yourself kits complete with pre-marked fabric, pre-measured poly pellets and instructions on how to sew the weighted pockets -- allowing you to customize the weight of any blanket size. Small DIY kits start about $50 and small (38 by 42 inches) blankets start about $95. Sensa Calm was started by husband and wife team Robert and Donna Chambers. 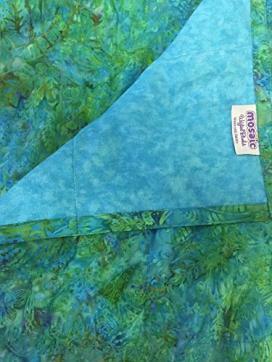 Donna began making blankets for her autistic grandson in her church's quilting room. This project also inspired a business of making weighted vests, belts, and blankets, and has grown to a team of nine women and four men who live in the same community and share a similar Christian-based faith. The blankets come in three standard sizes and are made from 100 percent cotton fabric. Buy them in over 60 different patterns, including Disney and cartoon characters, floral, tropical, sports, and solid colors. Small blankets (34 by 50 inches) start about $90 or about $255 for a queen sized (62 by 72 inches) blanket. The owner of Sensory Goods started the business in 2006 to help his two children who had recently been diagnosed with autism. The family began making therapy products at home and as demand grew, so did the inventory of products, which now includes blankets, animals, vests and belts in addition to sensory swings and toys. Blankets come in four sizes with your choice of over 1600 different patterns and colors. Choose between plastic pellets or the company's highly recommended glass beads for the weighted fill material. 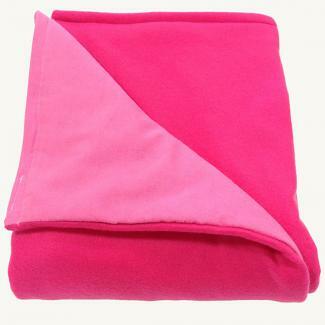 Small blankets (30 by 48 inches) start about $57 or about $171 for an extra-large (58 by 80 inches) blanket. The Magic Blanket began as The Original Bean Blanket in 1998. The name change was inspired by letters from customers saying how helpful the blankets were for their children, who called them their "magic blankets." This company carries an inventory that's made using heavy machinery with industrial-strength thread. 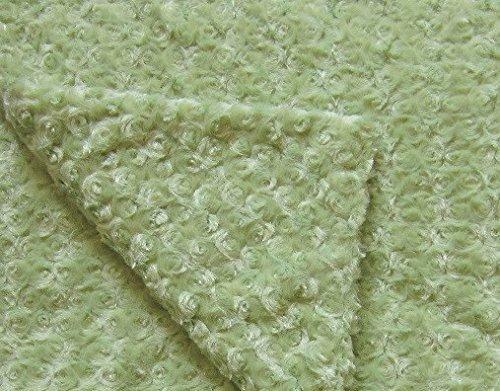 Choose from fabrics such as chenille, minky, fleece, cotton and flannel or a custom blend of two fabrics. Dozens of patterns and colors are offered based on the material selected. A mini blanket (24 by 30 inches) starts about $79 or about $189 for a full sized (54 by 78 inches) blanket. 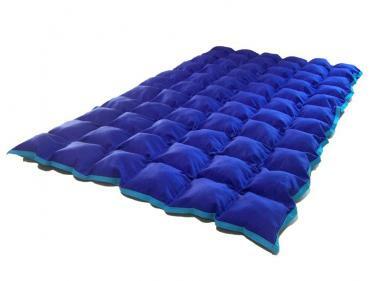 Keep in mind that OT Innovations stresses the use of weighted blankets is a very individual process and may not work for every person or could even have undesirable effects. Be sure to read the return policy for each seller as most are lengthy and very specific. If you have a sewing machine, consider making your own as a cost effective alternative that allows you to experiment with different weights until you find the amount that works best for you or your loved one.